In 2014, there were an estimated 55,710 cases of workplace related injury. This included individuals who sustained things like sprains, strains, and tares as well as a host of other problems that resulted in an average of 10 days away from work. The Bureau of Labor Statistics goes on to say that while reported cases are dropping across the board, individuals are still struggling to get the compensation they deserve. Life happens. So do injuries. You were working hard one day. Next thing you know – you’re injured and unable to perform your day the following day. Your workplace injury is fairly serious. Maybe surgery is required. The facts remain the same. You cannot work as of now due to an injury at your workplace. How are you going to pay for the medical bills and lost wages stemming from the injury? In a scenario like the one above, you’ll find workers compensation should be available to you. Often, this is not the case. As a workers compensation attorney in Kansas City, we’ve seen it all too often. You’re injured on the job, and your company still doesn’t want to provide benefits. 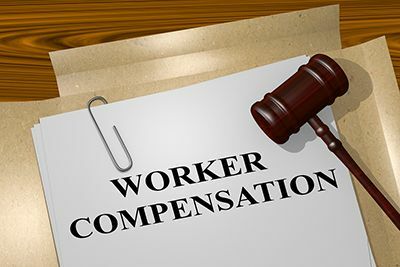 If your employer or the insurer rejects your worker’s compensation claim, you still may be able to receive benefits. Many employers and insurers reject workers compensation claims that are legitimate on purpose. These people know most will simply accept their denial without appealing or hiring a workers compensation attorney in Kansas City. By hiring a lawyer, you’ll get the benefits you deserve without having to play games with the insurer. If you’re permanently or partially disabled, you could be entitled to payments for the rest of your life. These cases are exceptionally expensive for insurance companies, and they’ll often battle you to the bitter end to avoid paying. If you’re disabled as a result of a work injury, then you must hire a workers compensation attorney in Kansas City immediately. If your employer or insurer decides to offer you a settlement, then there’s a good chance they’re low-balling you. Many times these settlement offers don’t even cover medical bills or wages lost. If you truly want to get the best settlement possible, then you need to call an attorney. If your boss fires or demotes you after you file a workers compensation claim, then you have been discriminated against. Immediately hire a workers compensation attorney in Kansas City. You must fight the injustice immediately, or you will be taken advantage of further. Workers compensation claims, settlements, denials, rights, and the like can be quite confusing, especially if you’re not a trained attorney. If you find yourself confused during any part of this process, then it’s a great idea to start looking for lawyers who can help fight your case. You don’t want to battle corporations and insurance companies all on your own. Trust us! We’ve seen that go wrong way too many times. If you find yourself in need of a FREE consultation from a certified worker's compensation lawyer, please contact Paulus Law Firm at (816) 237-8502 for a free consultation.